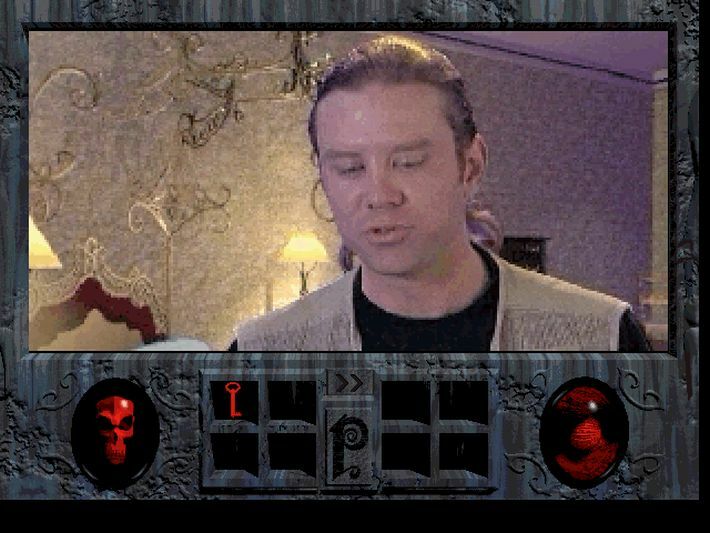 Good Old Reviews first month of staff picks opens with the FMV adventure classic Phantasmagoria. 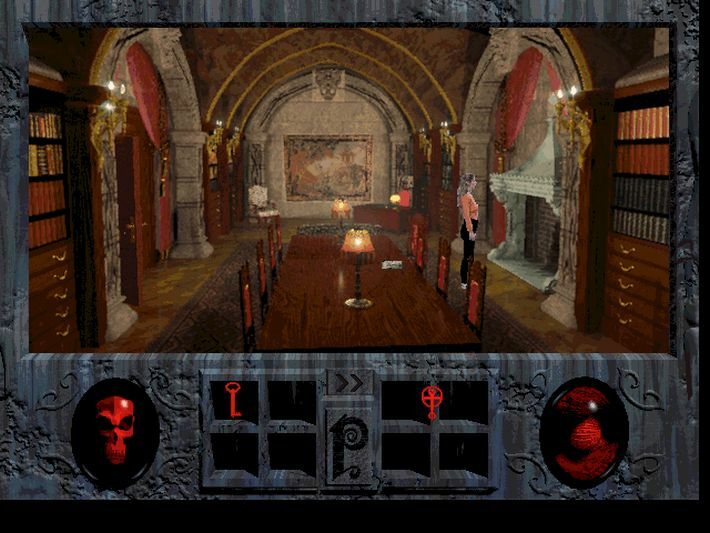 My first experience with Roberta "King's Quest" Williams' Phantasmagoria (available on Good Old Games for $9.99) was when I was just eight years old while visiting a relative in Canada. Because my parents are either terrible or amazing, they let me watch my older brother and mother play through a game that was deemed so horrific, violent, and terrifying, that it was banned from sale in my home country of Australia. 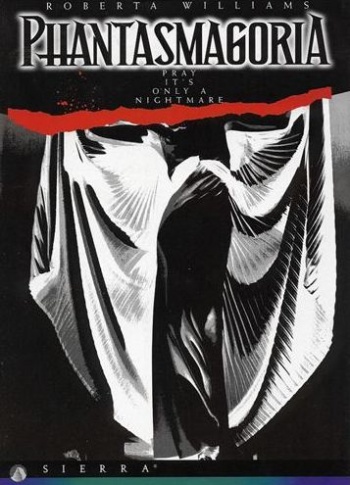 My brother managed to smuggle a copy of it home, and though I tried countless times to play it by myself, whenever one of the game's gore-tastic horror scenes came on, I alt-f4'd and dove straight under the covers of my bed. Now, thanks to GoG, I've been given a second chance to conquer my fears and redeem myself. 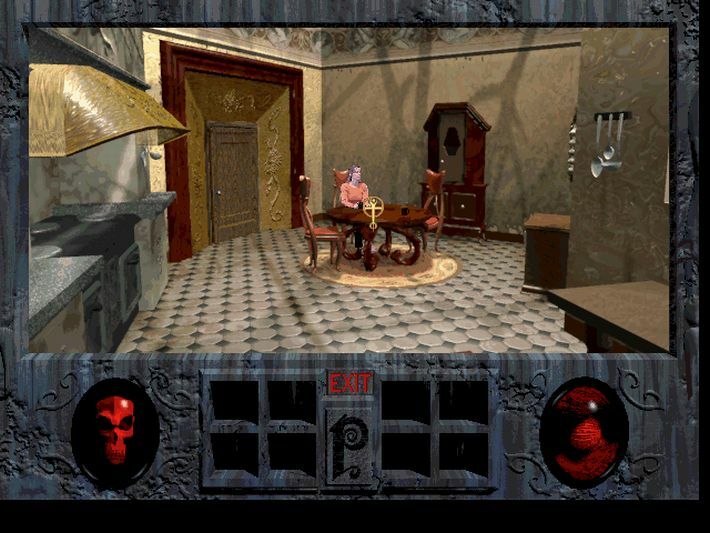 In Phantasmagoria, you play as fiction writer Adrienne, whose husband, Don, purchases a mansion previously belonging to Zoltan Carnovasch - an 18th century magician. Zoltan was no David Copperfield. Rather than sleight-of-hand, he dabbled in the dark arts to make his illusions more realistic. As tends to happen, he accidentally summoned, and was subsequently possessed by, a murderous demon, went on a rampage and was eventually killed for his trouble. Of course, one of the first things Adrienne does upon moving into her new home is to accidentally release the now sealed-up demon, who promptly possess Don. She then has to solve the mystery and find a way to stop the demon before she becomes just another "gruesomely murdered wife". 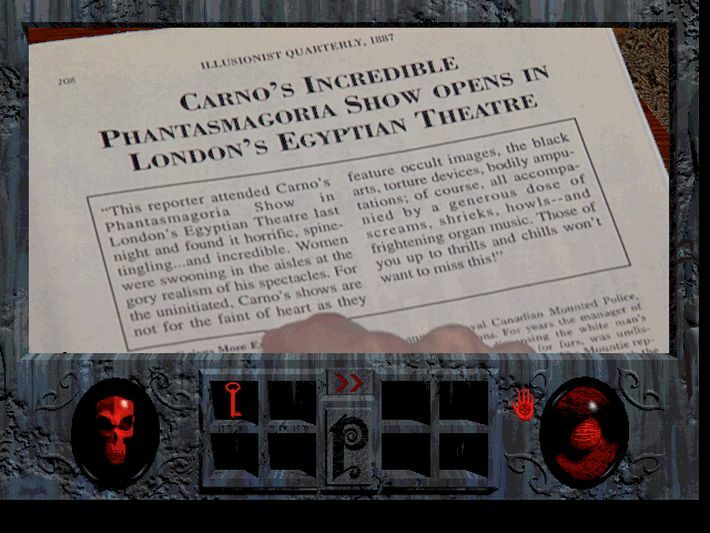 Phantasmagoria is probably best known for its heavy use of full-motion videos; so extensive that they give the game a whopping 2.15 gig file size. The videos helped breathe life into its world back in 1995 and they still do a pretty amicable job in 2014. The writing, however, is pretty atrocious and the acting, though much in line with many full-feature 90s movies, is spectacularly hammy. 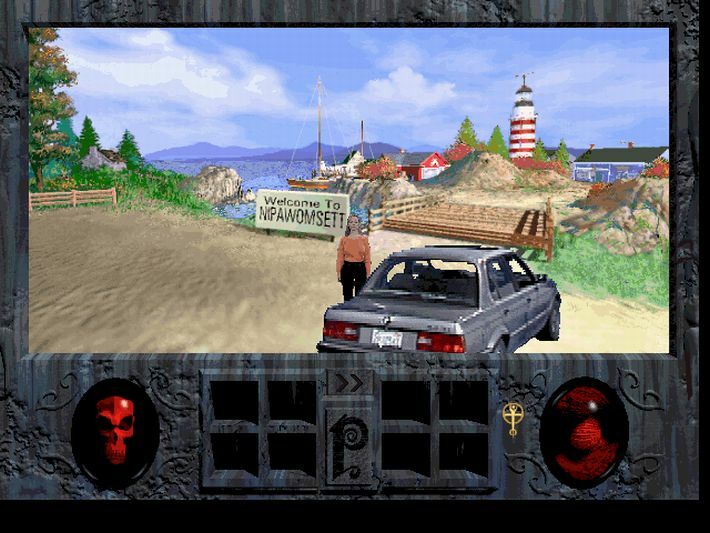 Even if they aren't technically perfect however, the FMVs arguably fit in adventure games like this better than they would anywhere else thanks to the genre's scales being tilted less toward gameplay and more toward exploration and atmosphere. Sadly, Phantasmagoria's not really scary anymore -the scenes that gave me nightmares in my youth merely made me chuckle as an adult- but fans will still likely be able to enjoy the FMVs fondly. 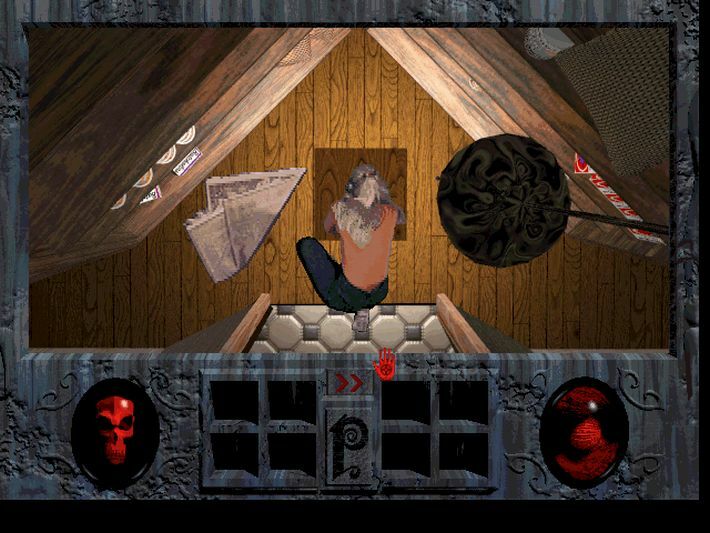 Where it sadly falters is in the process of being an actual, decent adventure game. All of the important items are incredibly obvious, most of the combinations are super easy to figure out, and veterans of the genre should be able to breeze through the entire game in just a few hours. What's more, when you get to the end, the conclusion is so incredibly unsatisfying that no one would blame you if you thought you made a mistake or missed some vital item or action at some point. Turns out, nope, it's just a really bad ending. As the game's official in-game hint keeper so eloquently puts it: "Sometimes life's a bummer, isn't it?" So what does the game actually have going for it despite its cheesy FMVs? While I do admit that the dialogue is pretty cringe-worthy, the whole overarching story and premise is quite interesting. The way the mystery unravels as you explore the haunted mansion is still fantastic and, even though I blazed through it, I didn't want to stop until I was done. 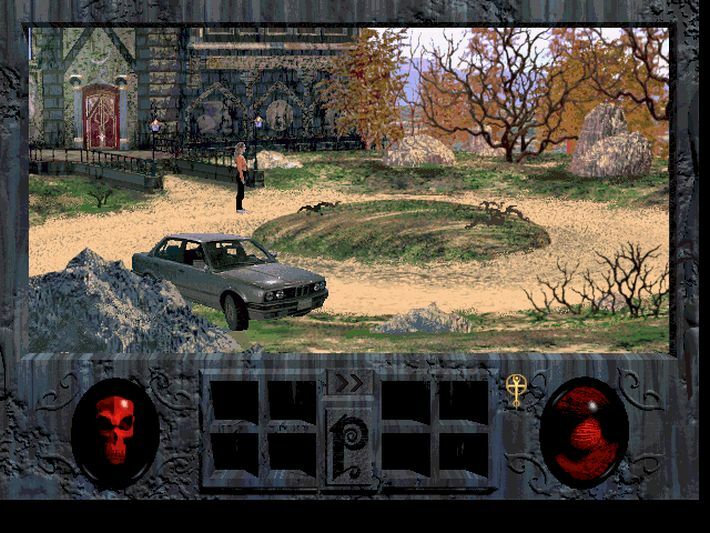 The music is also spooky and eerie, and does a great job of building atmosphere. The game, as whole, isn't perfect, but it's still fun and engaging, which, in the end, is probably the most important goal of a video game. 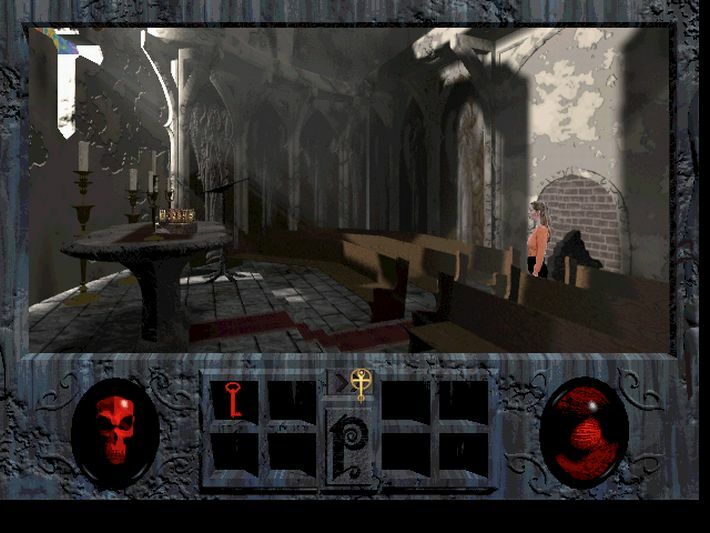 In the end, Phantasmagoria is probably less of a game and more of an interactive movie. It's fun, but it's way too easy, not very scary, and has a largely unsatisfying ending. 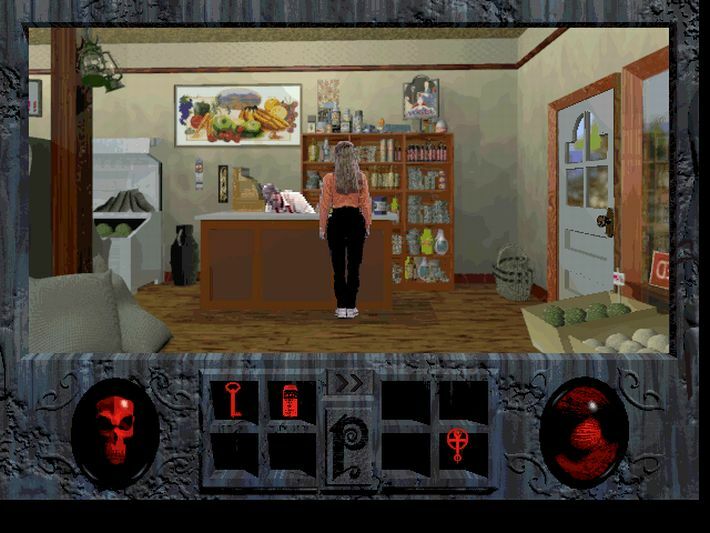 Roberta Williams is a great writer, and an amazing game designer, but I feel like with Phantasmagoria, she was just way too eager to show off her four million dollar budget with fancy FMVs, rather than build a proper adventure game. It was a gamble that, at the time, made the game look very cutting edge and graphically impressive, but today, just looks dated and tacky. For ten bucks though, it's a decent cheap thrill, and if you played it back when it was "cutting edge," the nostalgia will be worth it. Staff Picks February continues next week with the illustrious Andy Chalk's take on Ultima Underworld.